The Premium List is here. Here's the official press release for the cluster. Maine’s largest canine event, the Southern Maine Coastal Classic, presents its tenth annual four days of AKC All Breed Dog Shows and Obedience and Rally Trials at its new location, the Cumberland Fairgrounds, 174 Bruce Hill Road, Cumberland, Maine. Shows run from Thursday, May 16, through Sunday, May 19, 2019, begin at 8am each day, outdoors rain or shine. 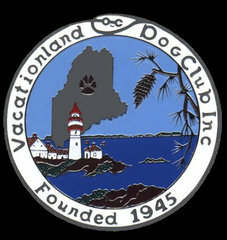 York County Kennel Club of Maine, Inc is a not-for-profit organization whose goals are to protect and advance the interests of purebred dogs through AKC performance events and community education activities. For more information about this show cluster, directions to Wassamki Springs or any of the featured dog clubs go toYork County Kennel Club of Maine, Inc is a not-for-profit organization whose goals are to protect and advance the interests of purebred dogs through AKC performance events and community education activities. For more information about this show cluster, directions to Wassamki Springs or any of the featured dog clubs go tohttp://www.yorkcountykennelclub.org.